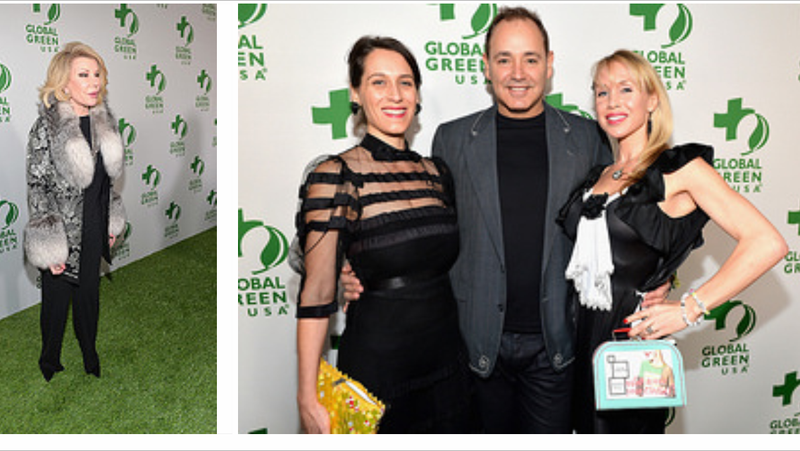 (RE) will have Upcycled Couture represented on the Red Carpet for Global Green USA’s 11th & 12th Annual Pre-Oscar Party. (RE)’s Lanni Lantto is thrilled to be the (re)designer for Green “Artivist”, Janine Jordan who will be in attendance with her husband, Ken Jordan of The Crystal Method. Janine is founder of Green Wave and the Electronic Music Alliance. She lives her life helping other people and giving back to our planet and is the perfect (re)presentation of a woman who is greening the fashion industry. Janine will be wearing a custom (RE) upcycled dress made from a variety of pre-existing materials. Global Green‘s zero-waste party will bring together Hollywood’s elite activists and eco-conscious celebrities to enjoy a night of plant-based dining, rare performances and an exclusive auction, all to raise funds and awareness for Global Green USA’s ongoing initiatives.